There’s an unavoidable fact in Alaska these days: the days are long… really long! 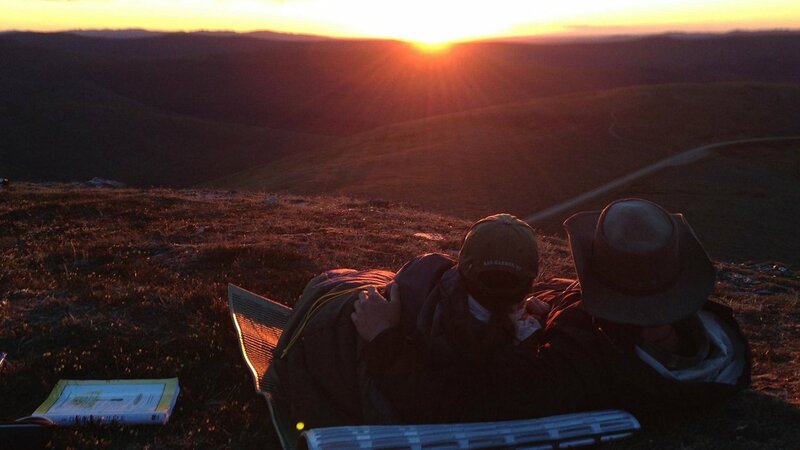 The summer solstice is a celebrated event by Fairbanksians and Alaskans in general. For weeks now the nights have been filled with light and bird song, but the coming of the Solstice means above the Arctic Circle the sun does not set. It spins in circles overhead and drops low on the horizon before ascending for another pass around the pole That’s what I went to see! My goal was to set up a long timelapse to capture the day and the swinging sun. The culmination of 13 hours of patient waiting captured the a low lying sun which seemed to go super-nova. Over the course of the day rain showers hung high in the atmosphere and refracted the sun which went from white to orange as it got closer to the horizon. At 2 AM the sun’s path bottomed out, and it began to swing high back into the sky changing back to white. There was lots of time to explore the summit. Wildflowers were carpeted across the mountain top. 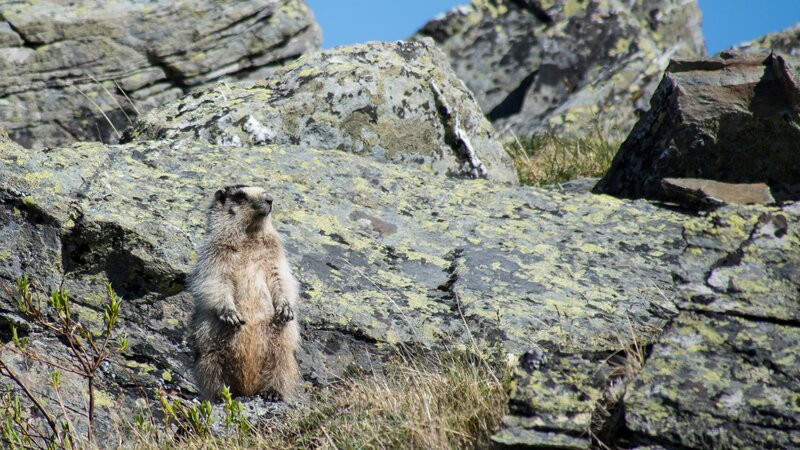 Horned Larks and Northern Wheatears were common on the summit, and large marmots were always in vigilance somewhere. Northern Wheatears spend almost 8 months of their time migrating between India and Alaska. 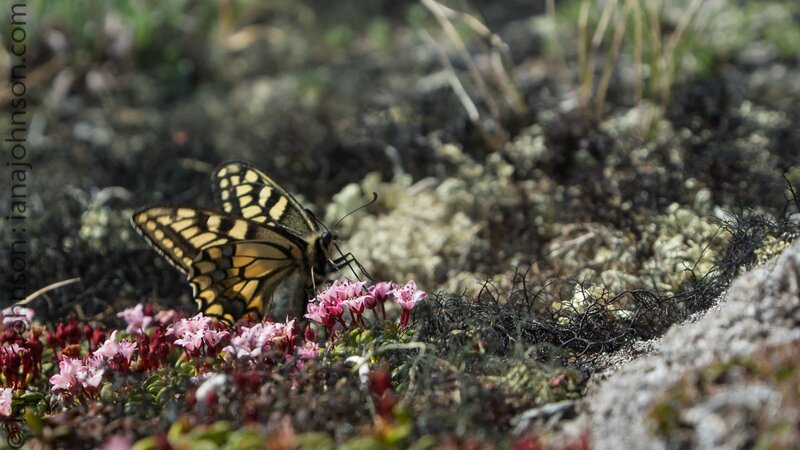 They raise their chicks on the tundra before migrating back, which is incredible! 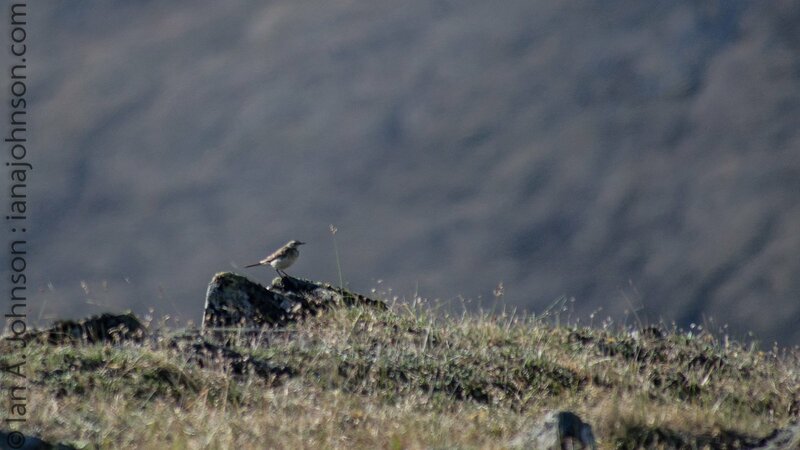 A male northern wheatear watching over his summit at Eagle Summit. 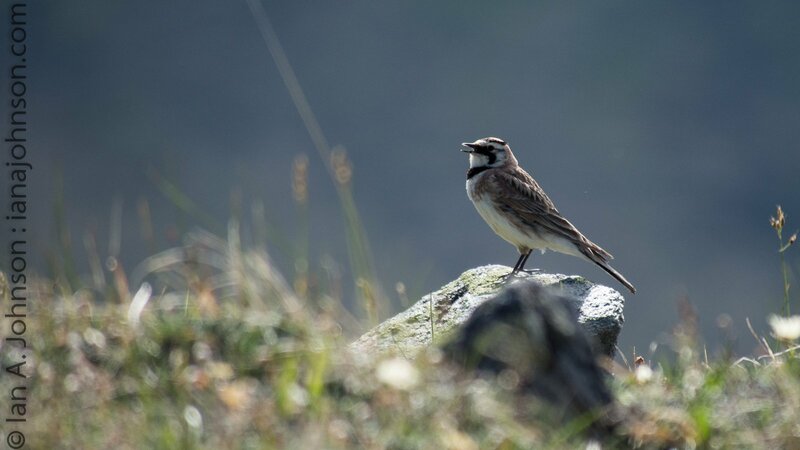 A horned lark sings for females on Eagle Summit. 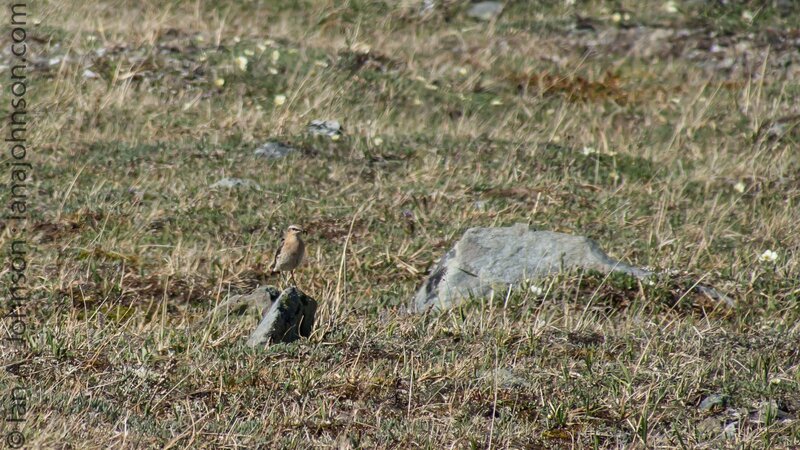 A female wheatear hunts for food. As low sun was captivating – there was nothing else to do but watch it, and enjoy it. I saluted it made sure we were entertained by jamming out “three little birds” (video below) along with some other classic tunes on the Ukulele. 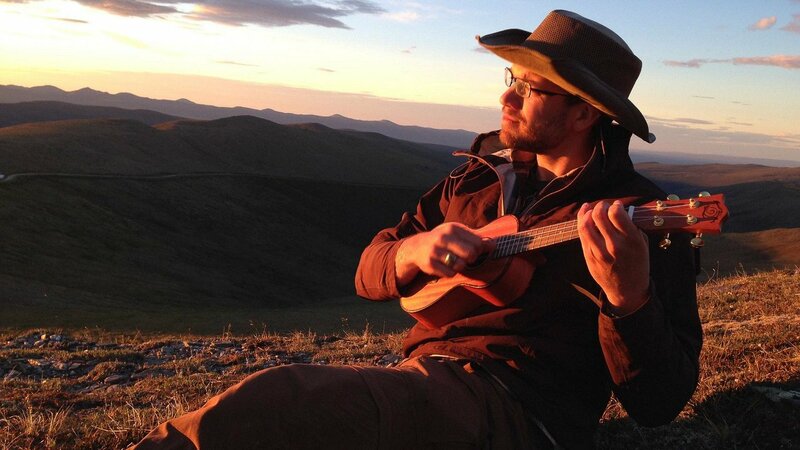 Singing and enjoying the low sun of the solstice. It’s been a mild summer in Alaska so far. Temps have been pushing to about 75 degrees in the afternoons and hovering around 50 degrees at night. The conditions could not be MORE perfect to be out-and-about! 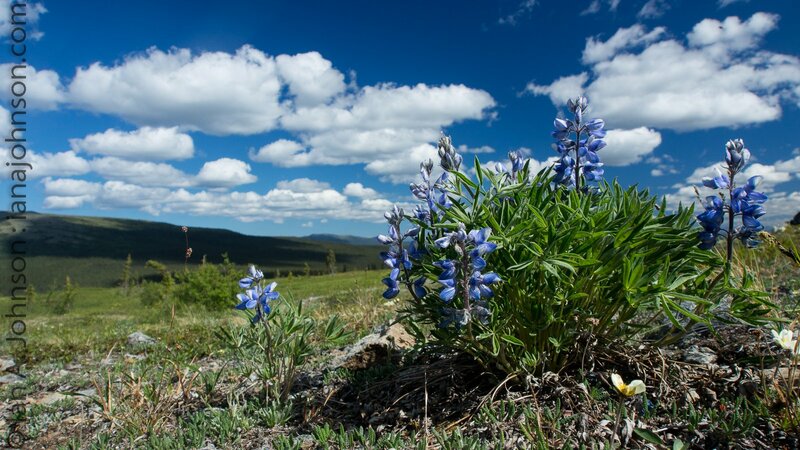 I’m just diving in Alaskan flower identification with many of the early summer species coming into full bloom. 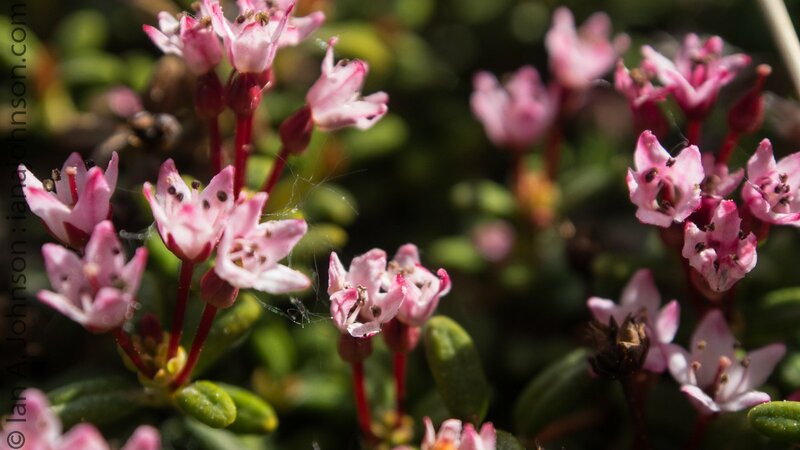 On the way to Wickersham Dome there is a great assortment of alpine species which can be enjoyed in the open, windy areas out of the clutches of the mosquito clouds. 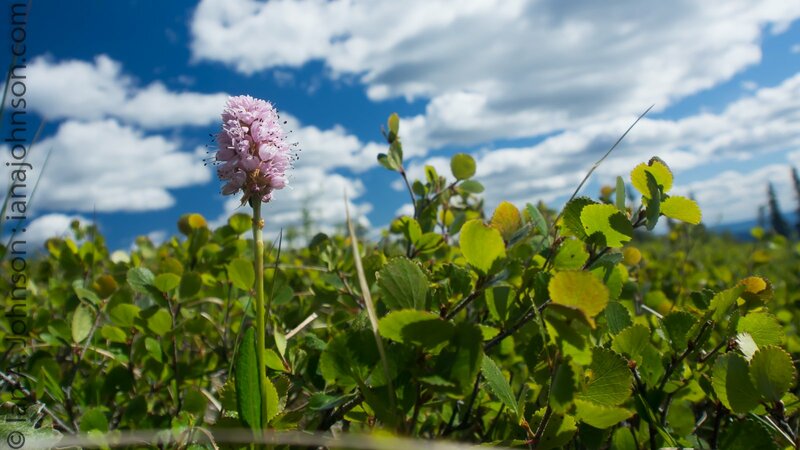 The flowers are beautiful, and this one, 5 mile hike provided well over a dozen species of flowers in all shades of color. Like I said, I am new to AK flower ID, so I won’t stand by these ID’s 100%. If you know I have one wrong, please tell me. 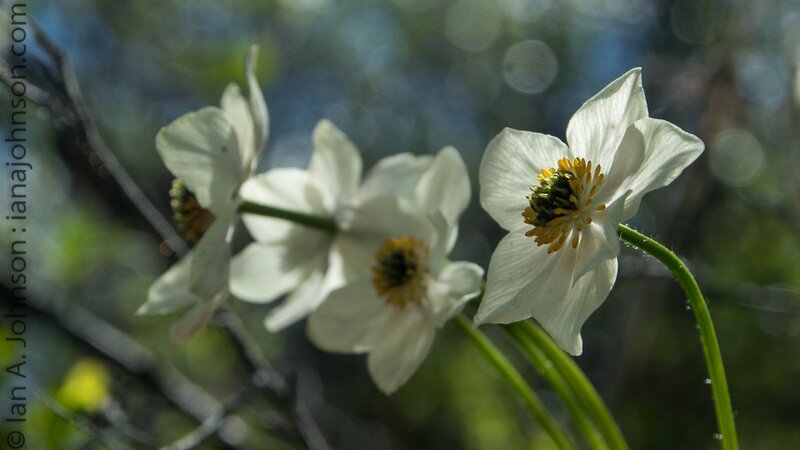 I know several of those who read this blog have great plant ID skills! Also, there’s a section at the bottom of flowers I have not ID’d yet, I would love to get your input! Low-bush cranberries were common in the open areas along the trail. These small berries are also known as lingonberries and are great to eat once rip! They’re tart and taut with a satistifying pop. 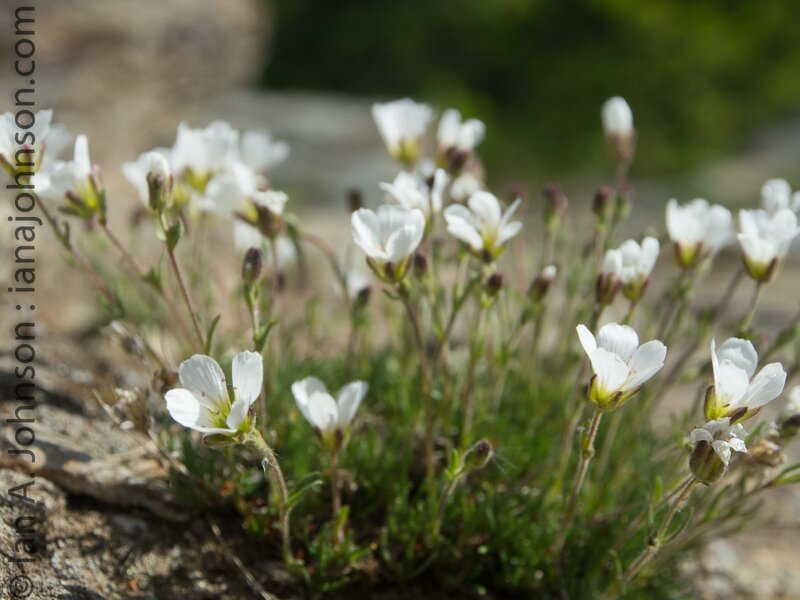 These plants, like many of the alpine species, are very, very close to the ground. 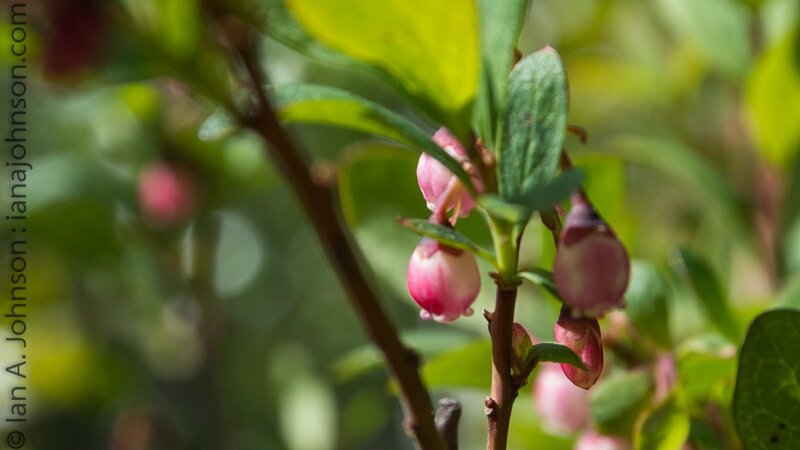 Another edible plant which was common around the trail were the blueberries. 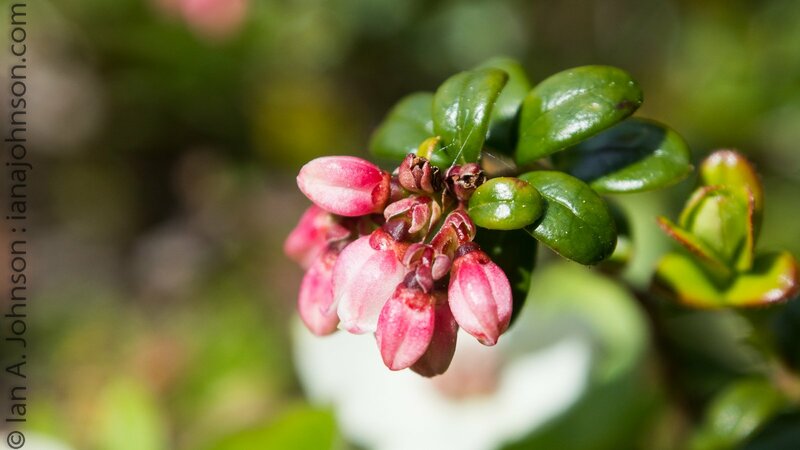 They have just formed their fruits and are a rosy pink. Some more time and lots of sun will turn these little morsels blue. 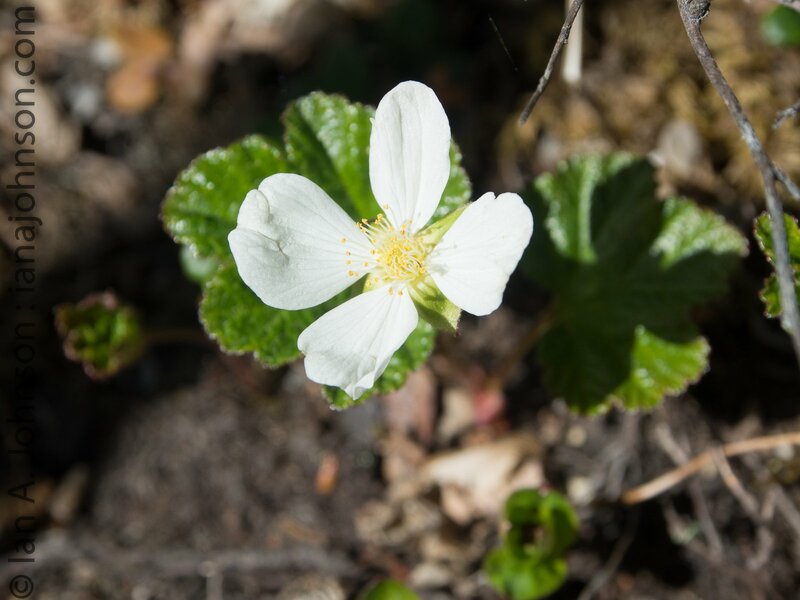 An Alaskan specialty is the cloud berry. I’ve heard no-one makes cloud berry pie, because they’re so good you eat them all before you get home! :D. The berries form a cluster that looks like salmon spawn. 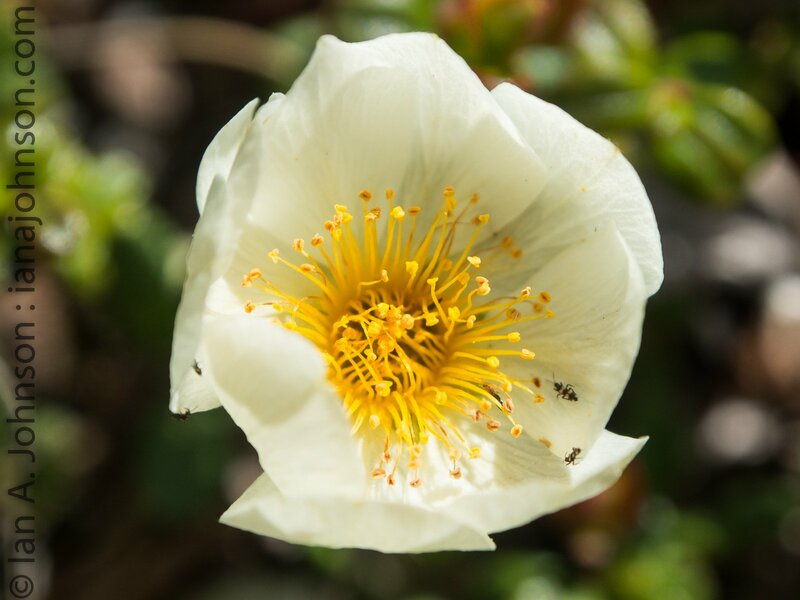 Mountain avens are small and beautiful. 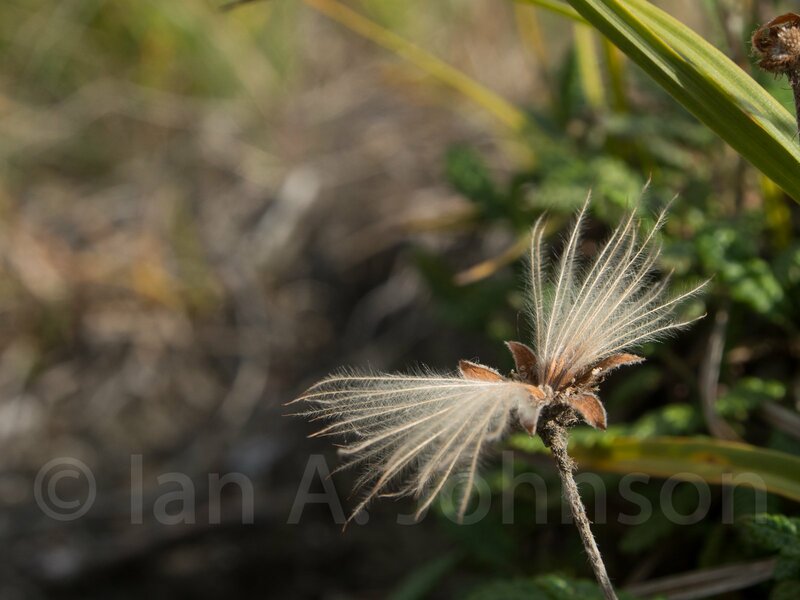 I actually ran into the mustache shaped seed pods last fall which in Denali National Park, so it was great to see what the flowers looked like! 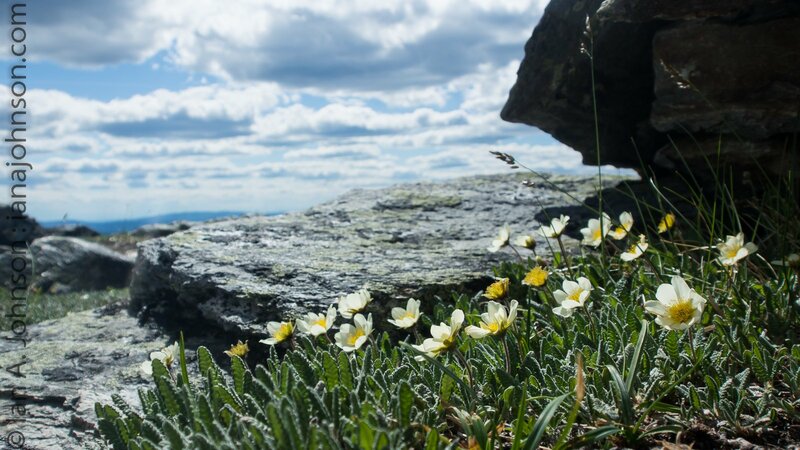 Mountain Avens overlooking the top of Wickersham Dome. 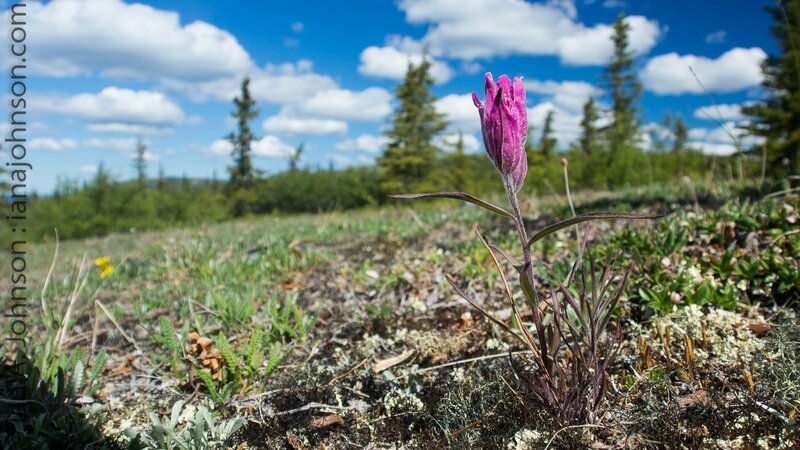 The rest of the trail was scattered with many other species of flowers which can be seen here along with some of the beautiful scenery. Pink Plumes! Not even kidding, that’s their name! 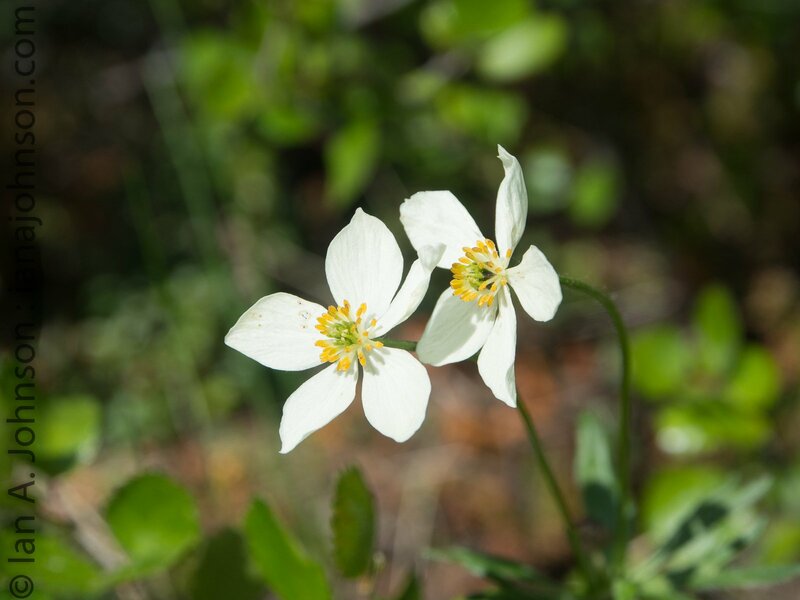 Unknown flower #1 : Probable Cut-leaf anenome or “early thimbleweed”. Both are common names for it. 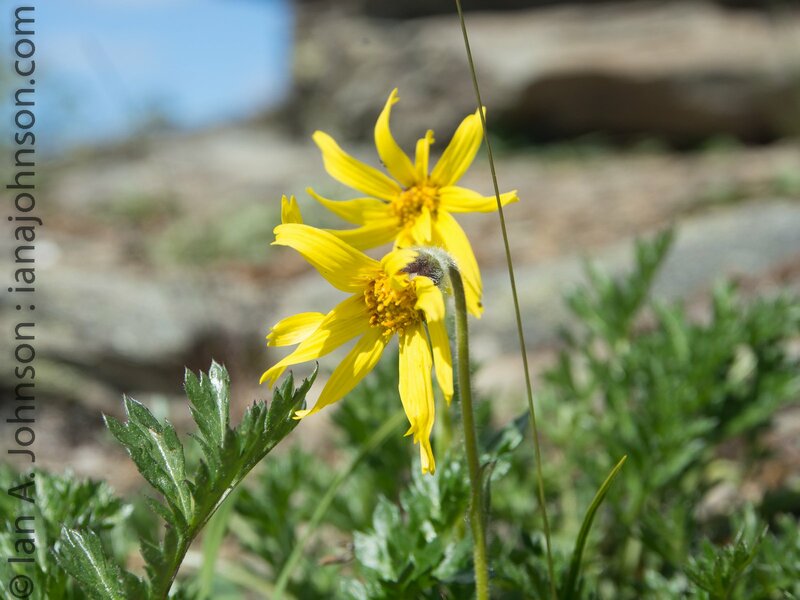 Unknown flower # 3 : An arnica species (Thanks Justin)… but now… which? I’ll leave you with a picture of a super-tree which is defying the odd by surviving on summit and this nesting yellow-rump warbler. She sure was well hid! 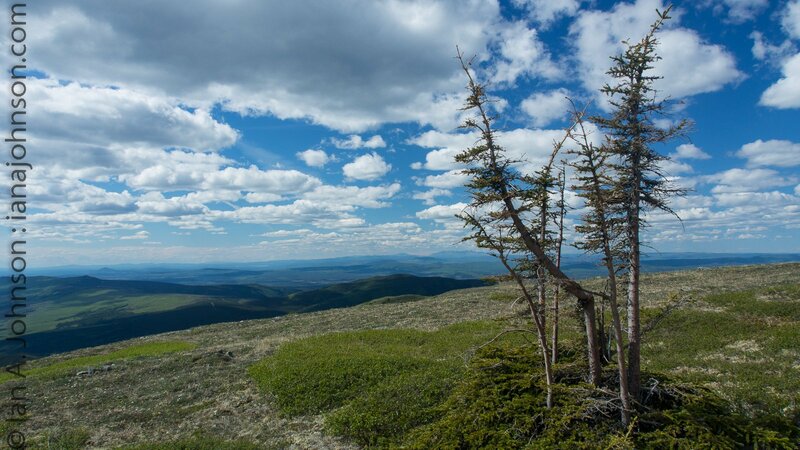 This pine tree defied the odds on the summit of Wickersham Dome. Somehow it’s thriving when none others could! 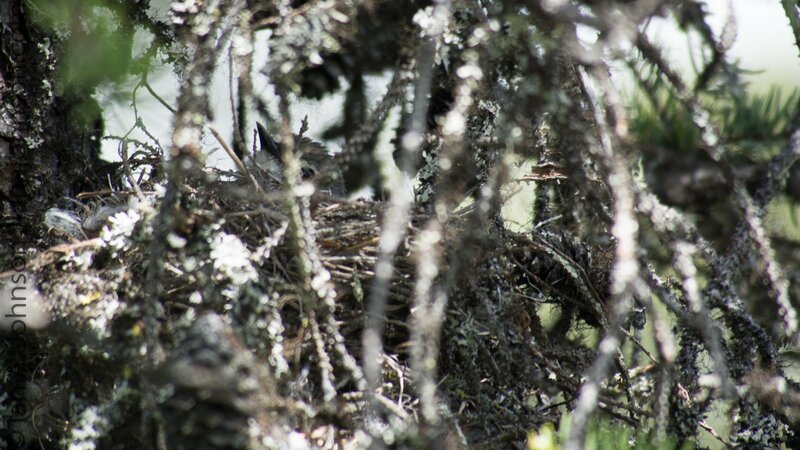 A female yellow-rump sits on her nest along the trail to Wickersham Dome. She was keeping low, but keeping a close eye out. This Memorial Day I had a great time with family at our lake cabin in central Minnesota. The night I got there the humidity had dropped from the sky and the stars were intensely clear and beautiful. 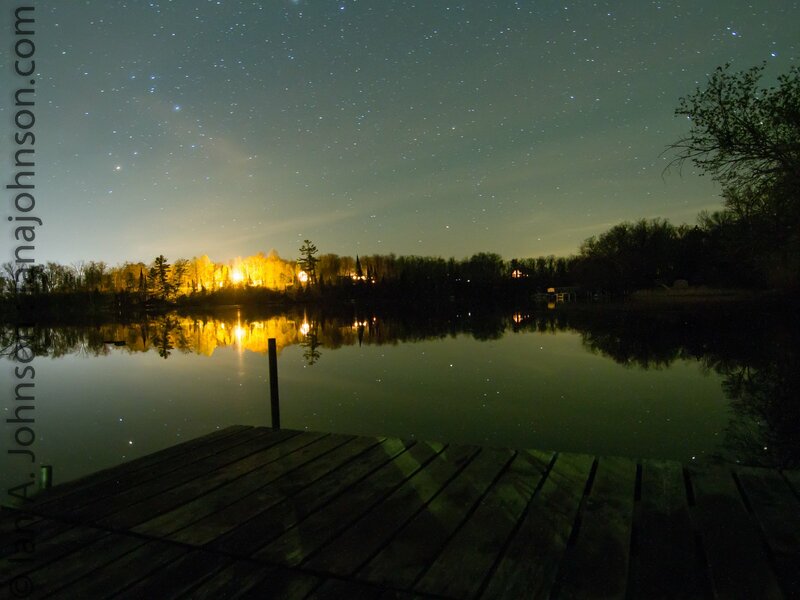 I walked down to our dock and immediately realized that in the completely still night the earth and sky were the same; the lake was reflecting the stars and lights along the shoreline with mirror-like precision. Not a ripple blurred them. Taking pictures from the dock I did my best to capture the beauty and stillness of the night. 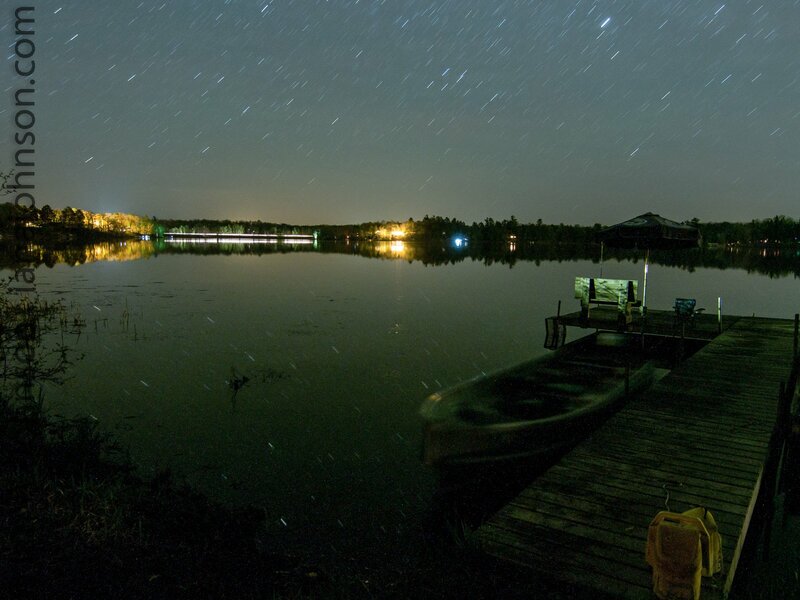 The starry night was reflected perfectly in the lake. The only thing that discerns the the earth is the the dock. I have a tremendous sense of place at our cabin. I’ve been going there since I was a little kid and have helped in many of the building changes, mowed its lawn, ate pancakes cooked by my grandma every morning, fried fish for dinners, and fished its waters. Fish stories and memories have been firmly set in my memory and the lore of the cabin. Bent hooks, broken rods, and big fish are remembered by uncles, nephews and cousins. A walk down the dock is the beginning and end of any fishing trip. Over the years the has changed in length, shape, style, and design. But regardless of how it looks it is ALWAYS there. 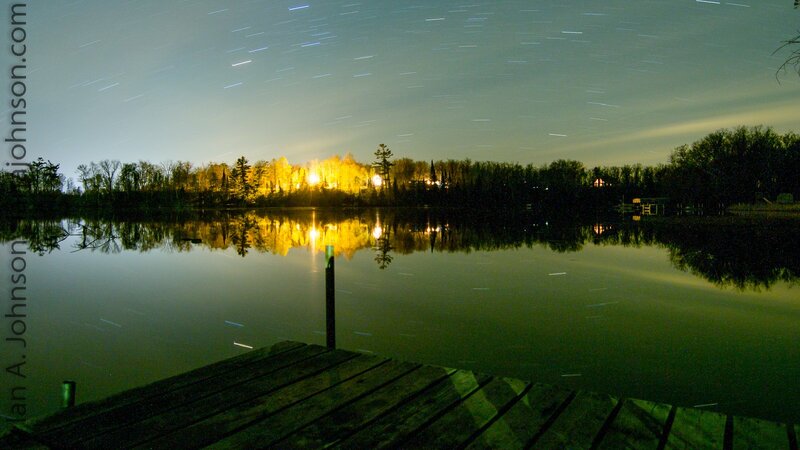 I took these photos from that dock to capture a beautiful night. The boat pictured here has been part of many, many fishing trips. It is decades old and has held up through perhaps a dozen different 4-10 horse engines. The night was so still the boat hardly rocked during this long exposure. This image is a single 8 minute exposure. The stillness of the night reflected the spinning stars captured above.